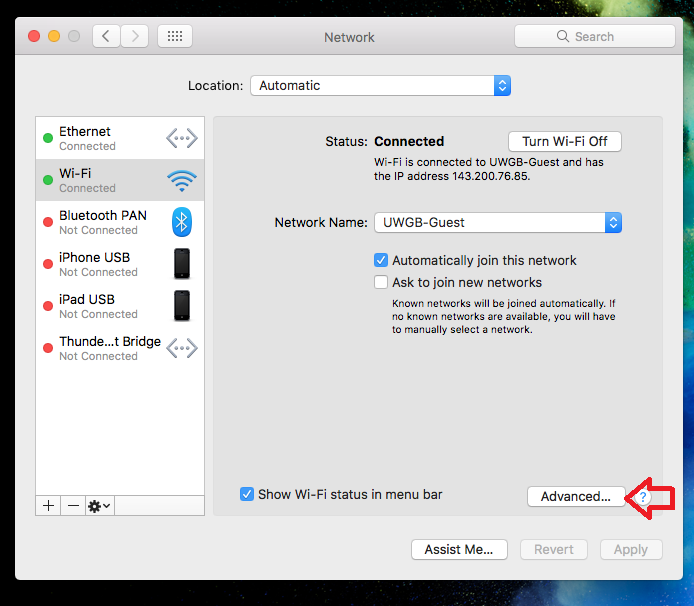 Macs will continue to connect to previously used wireless networks in the order that they were added. You will need to forget the network if you want it to stop automatically connecting. 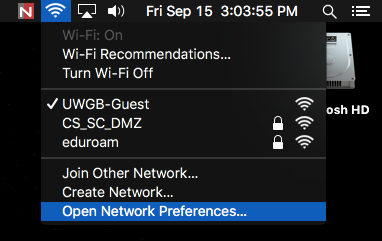 This is useful if you originally connected to UWGB-Guest or UWGB-NetReg but are now using eduroam. Also if you're having trouble getting eduroam to connect, forgetting it and then reconnecting will often solve the issue. 1. Click on the wireless icon in the top right corner and select "Open Network Preferences..."
3. Find the network you would like to forget in the list of Preferred Networks. You may need to scroll the list to find the network. Click on the network, then click the minus button to forget it. 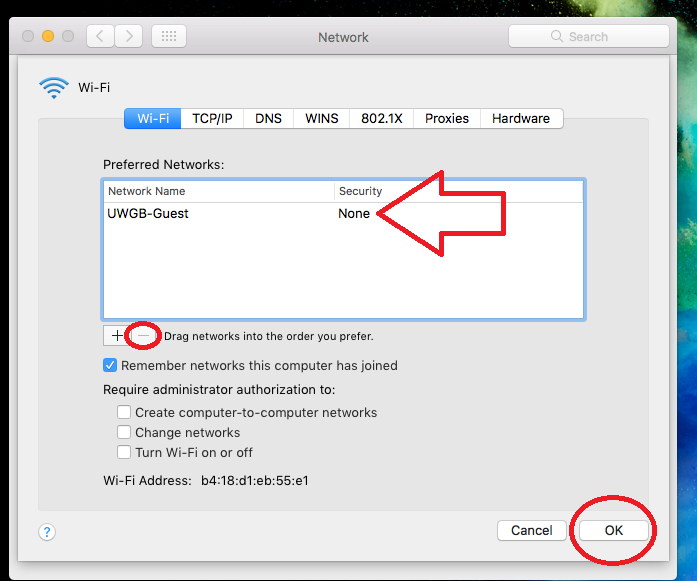 When done click OK on this window and Apply on the Network window.